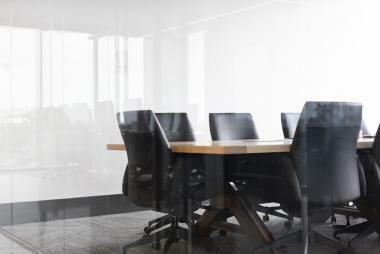 Looking for information and best practices to set up a Young Talent Community? This is your session! Brought to you by the Y-ADM community. 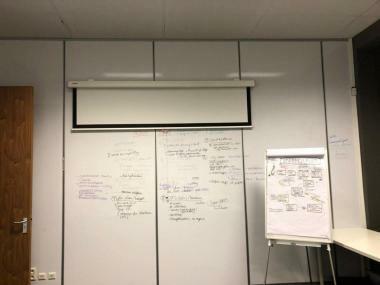 “Sharing” information and “connecting” data between logistic players in the Port of Antwerp helps all parties to increase their efficiency and productivity. Moreover, it is beneficial for the mobility issues in the Antwerp area. For those who struggle with networking, or those who want to become more experienced, we gladly invite you to an educational and practical session full of tips & tricks, given by Filip Verstraete! With the Tour de France 2019 (July 6) approaching, this is the perfect opportunity to experience how digitalisation impacts competitive cycling and enhances the enjoyment to fans! Join us at the opening session of our new year and connect with none other than Johan Thijs, CEO KBC and Trends' Manager of the Year 2018! New topics are under development and will be added in the near future. Would you like us to keep you posted? 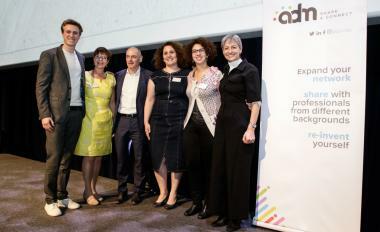 This year’s reception focused on ‘Digital Business is HUMAN’. Technological progress may be fantastic, in the end it's all about the applications that go along with it and its impact on human being. The 4 keynote’s of the evening showed how digitalization makes people’s lives better. 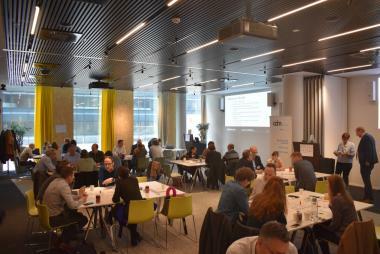 After the first successfull session with our young professionals, they gathered again at BDO Crossroad headquarters to continue working on a blueprint for Young Talent Communities everywhere. The new ways of working ask for a different approach to your employees. During this session brainmove guided our members & partners through this process. 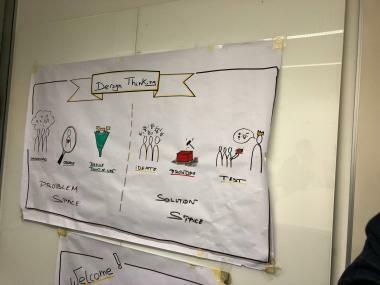 By guiding us through the "Workplace game" they explained what’s important to keep in mind when implementing the new way of working. 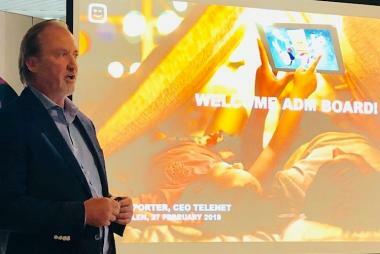 An objective that Telenet has in common with all participants of our session with John Porter, CEO Telenet after our Board Meeting of February. The sky is the limit when it comes to increasing the (internal and external) customer experience. Technology and the help of good business partners can help you move towards a more efficient business, engaged employees and happy customers! A great & fruitful night was had by all the young professionals who joined us at BDO Crossroad. Together they took the first steps in creating a blueprint for Young Talent Communities everywhere. D.I.Y. : coding = child's play! 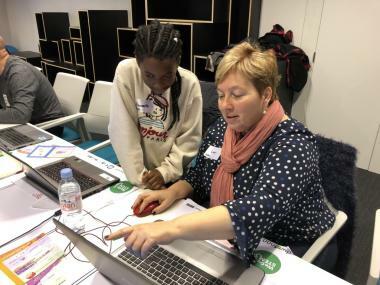 During a very special weekend session our members were introduced to CoderDojo and WeGoSTEM, 2 organisations who work tirelessly to help children develop their STEM-skills. It was a very hands-on session where the children were the teachers: they helped our members take their first programming steps! 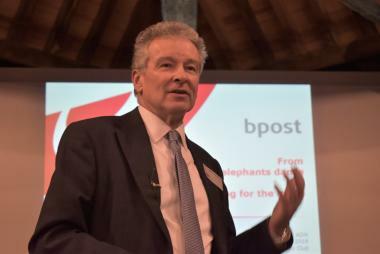 Koen Van Gerven : Challenges for a modern bpost. What was it that makes Bpost a strong company even when transforming since 2003 already? To state the president of ADM, Jan De Schepper: as a CEO Koen bounces back with the words ‘what doesn’t kill you makes you stronger’.